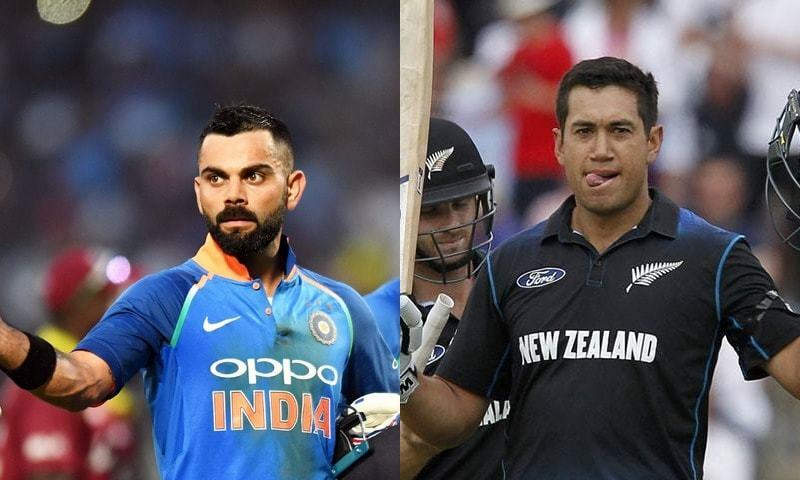 Virat Kohli and Ross Taylor will vie to prove they are the world's best one-day international batsman as India and New Zealand clash in the first of five ODIs in Napier on Wednesday. For both sides, the series is an opportunity to fine-tune planning ahead of the World Cup. But for Kohli and Taylor — currently ranked first and third in the world respectively — it's a more personal battle, with both in electric form and looking to gain a psychological edge. The McLean Park wicket promises to be a belter, with New Zealand's Tom Latham showing just how ripe the pitch is by smashing 110 off just 60 deliveries, including 10 fours and six sixes, in a domestic Twenty20 match last week. Since the start of last year, Taylor has averaged a stunning 92 from 13 innings and became the first New Zealander to score 20 ODI hundreds. Taylor could also have added MS Dhoni to the list of feared Indian batsmen following the veteran's 51, 55 not out and 87 not out to show he was clearly in form during the three matches against Australia. The last time New Zealand played India at McLean Park was four years ago when Kohli scored 123, but his 111-ball knock was in vain as Williamson (71) and Taylor (55) set up a 24-run win for New Zealand. And although India have the higher ranking, their history in New Zealand — where conditions are similar to what they can expect in the upcoming World Cup in England and Wales — is not so good. They have only won 10 of 35 matches in New Zealand, with a sole series win nine years ago. The last time they were in New Zealand, in 2014, they were beaten 4-0. Although India will have to face a lot of resistance from New Zealand as they aren't not new side like Australia. Also, New Zealand are far more competitive at home than anywhere else in the world. Conditions are here quite similar to England, therefore, India will have to do lot of heavy lifting to beat them. If India managed to beat them, it will be jack-up their confidence at least 10 times, which will eventually add up to their world cup preparations. Good luck team India. 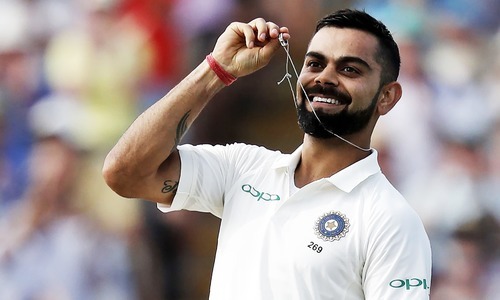 Indian captain Virat Kohli reigned supreme as he swept all the awards on offer at the ICC awards 2018. He became the first player in history to win the Sir Garfield Sobers Trophy for ICC Cricketer of the Year, the ICC Men’s Test Player of the Year and the ICC ODI Player of the Year awards following an extraordinary 2018.
i will be interesting contest. @Roger, "Conditions are here quite similar to England, therefore, India will have to do lot of heavy lifting to beat them" Good analysis, but enough statistics show that the (toss+home advantage) has been a big decider of the eventual results for India in both RSA and England. All the opposing teams knew how close and ragged India ran them, with India even winning in one of the 8 tosses that they lost. So, if the tosses are fair to both teams, India will be sure to come back home in shining colors just like they left Australia where the tosses were fair to both teams. You can't compare anyone with King K, period. @Dr. Salaria, Aamir Ahmad, Finally, you acknowledged it. It would be better if you also come to terms with your animosity towards India when it comes to cricket and show sportsmanship when due. Only time and on-the-field tangible performance will tell, confirm and speak for itself, as to who is a better player during the upcoming days? @Dr. Salaria, Aamir Ahmad, You seem to be a dwindling personality , very unsure about your comments. In your first comment you are admitting that King Kohli cannot be compared and he is better than the best then in your next comment mention performance will tell. Go back and check it out on your esteemed DAWN website who is the International Test cricketer and One day cricketer of the year for 2018 which will enhance your little cricketing knowledge.